Surprizers batted first and lit up the Keartons Playing Field, posting 134 for 7 from their allotted 20 overs. Handel Browne struck 27 and Roy Richards chipped in with 20. Enrique Gaymes took 2 for 17, bowling for Topsidaz. At their turn at the crease, Topsidaz were strangled by the bowling of Handell Browne, who snared 4 for 18, as they reached 98 for 8 from their 20 overs. Markneil Lewis top scored with 24. On Sunday, it was not a case of childâs play when RSVG Police met Prisons. Fielding only seven players, Prisons scored 104 for 4 from their 20 overs, with Lamont Grant making 31. RSVG Police were, however, untidy in the field, conceding 41 extras, which added to Prisonsâ batting cause. Rolando Wright was the pick of the law officersâ bowling, with 3 for 11. Police, when batting however, retaliated with vengeance, scoring 105 for 1 in a mere 6.5 overs. Salvan Browne blasted 64. In Sundayâs final match with on-field action, Ruddyâs Electrical dismantled Buccament by eight wickets. Buccament was dismissed for 46 in 9.3 overs. 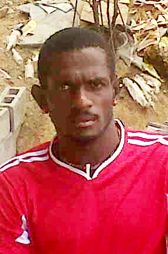 Bowling for Ruddyâs Electrical, Lavell Miller captured 3 for 11. Ruddyâs Electrical cruised to victory at 47 for 2 from 10.4 overs.